Assam Public Health Engineering Department Recruitment 2017 latest Job notification is declared for filling up different positions for under World Bank assisted Rural Water Supply & Sanitation Project called as Neer Nirmal Pariyojana . The Directorate of Agriculture Assam has recently announced a recruitment notification for filling up various posts. Oil India Ltd Duliajan Recruitment 2017 notification is announced recently for Field chemist post. Gauhati High Court Recruitment 2017 latest govt. job notification is out for filling up 35 posts of Judicial Service Grade III. In this article you will get 5 proven techniques through which you can earn money online. AssamCareer will guide you to start making money online. Assam Secretariat Recruitment 2017 notification is declared for filling up 167 vacancies as a post of Computer Operator. 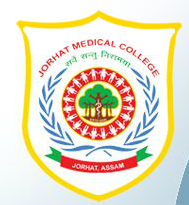 Jorhat Medical College and Hospital Recruitment 2017 notification is out for filling up various posts. Assam State Rural Livelihood Mission Recruitment 2017 notification is declared to fill up vacancies for different posts.